One of the most significant contributions that Tadashi Fukao has made in the power industry is on “Super High Speed Electric Drives and Bearingless Drives.” The impact of Tadashi Fukao’s work on high-speed drives can be seen in today’s acceptance of high rotational speed drives used in hybrid vehicles, mobile power generators and vacuum cleaners. He studied high-frequency cycloconverters, which convert 50-Hz commercial energy into 400- or 500-Hz electrical power, and proposed generator and distribution systems with reduced physical dimensions. Dr. Fukao researched bearingless motors to overcome the problems that occur when motors with bearings operate at super high speeds. Bearingless motors allow alternating current motor drives to be used in space applications, harsh environments, food and pharmacy processes and very high- and low-atmosphere environments where bearing maintenance and use of lubrication oil would present problems. 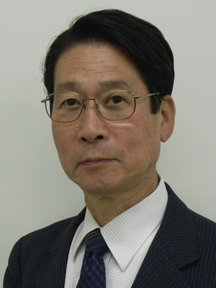 An IEEE Fellow, Dr. Fukao is currently an independent consultant to the Tokyo University of Science and professor emeritus at Tokyo Institute of Technology. This page was last edited on 29 February 2016, at 17:59.